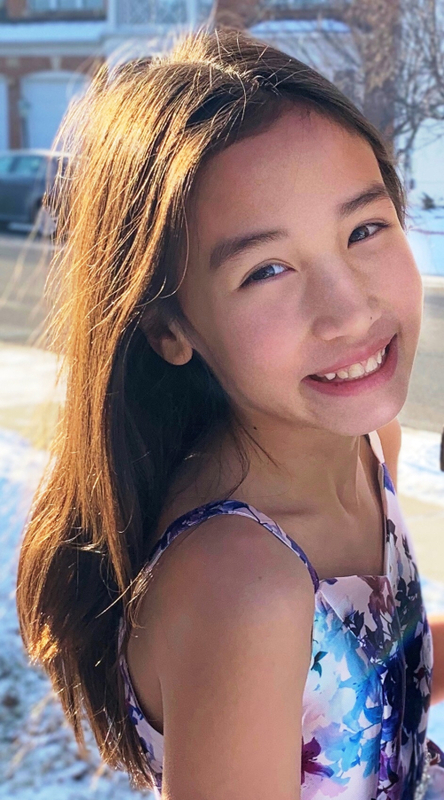 Kayleigh Le Eickholt is a winter 2019 Kids Class Student. She is of Vietnamese and American descent. She’s had a passion for acting and comedy since age 4 and has made short films, typically as the lead actress, with her brother who handles the direction and production. She had a speaking role in a commercial for Howard University Hospital in 2014, and a non-speaking role in another the year prior. Her ability to make people laugh, her skill with impressions and her love of comedy are all undeniable. One of her goals is being on SNL one day and sings in every school talent show. Her other extracurricular activities include the piano and violin, gymnastics, dance and soccer.